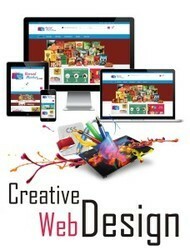 Service Provider of a wide range of services which include Website Designing,Web Portal,Ecommerce Website. We are a leading Service Provider of Android Application and IOS Application from Anand, India. 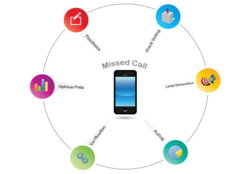 Our service range includes a wide range of Missed Call Information Marketing Solutions and Bulk SMS. 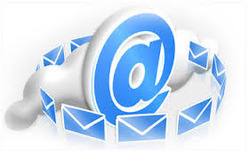 Offering you a complete choice of services which include Bulk Mail. 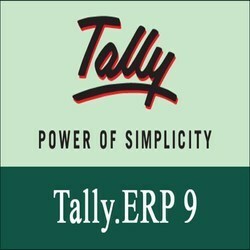 Pioneers in the industry, we offer Excel Data to TallyERP Software and Accu GST from India. Pioneers in the industry, we offer TDL for Add New Display Column in Voucher Entry for Tally ERP 9, TDL for Add Own Menu on Gateway of Tally With Sub Menu for Tally ERP 9, TDL for Add Own Menu with Sub Menu List on Gateway of Tally for Tally ERP 9, TDL for Add Own Message Menu with Display Message for Tally ERP 9 and TDL for Authorized Signatory TDL with Company Seal for Tally ERP 9 from India. We are a leading Service Provider of TDL for Cost Centre Wise Profit & Loss for Tally ERP 9, TDL for Credit Note Account Invoice Import for Tally ERP 9, TDL For Debit Note Account Invoice Import For Tally ERP 9, TDL for Define Report Part Line And Field for Tally ERP 9 and TDL for Define Top And Bottom Lines Within Part for Tally ERP 9 from Anand, India. Our service range includes a wide range of TDL for Enter Your Custom Message in Sales Invoice for Tally ERP 9, TDL for eWAY Bill With Transporter Details for Tally ERP 9, TDL For Function To Fetch Collection Values For Tally ERP 9, TDL for Inclusive & Exclusive Tax TDL for Tax Invoice for Tally ERP 9 and TDL for Ledger Address Print Direct on Envelop for Tally ERP 9. Service Provider of a wide range of services which include TDL for Print User Name in all the default Reports and Vouchers for Tally ERP 9, TDL for Read And Write In Excel Sheet Using Function for Tally ERP 9, TDL for Sales & Purchase Stock Item History for Tally ERP 9, TDL For Scope Of Variable In Columnar Report For Tally ERP 9 and TDL for Grid Lines in Invoice, DayBook & Ledger etc for Tally ERP 9. 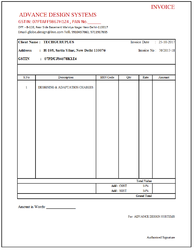 Pioneers in the industry, we offer Tally Bill Format Gallery 1 and Tally Bill Format Gallery 2 from India. Leading Service Provider of Android DVD English, Tally Developer DVD English, LUMION DVD ENGLISH, HINDI, GUJARATI, DVD English and IMAGE PROCESSING DVD GUJARATI, HINDI, ENGLISH from Anand. Prominent & Leading Service Provider from Anand, we offer Miracle Software Bill Customize. 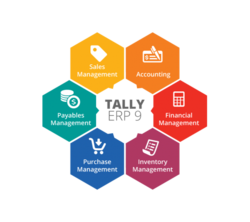 Our range of services include Tally ERP 9 Implementation and Odoo Development.